Race on wheels – training wheels, 2 wheels, tricycle, balance bike, etc. Helmets are required. We have loaners if you need one. Little Tykes race along a small section of the main track to help prepare them to move to the big track when they’re ready. ALL Little Tykes must REGISTER for their race event. Little Tyke race registration will be accepted during all posted registration times. 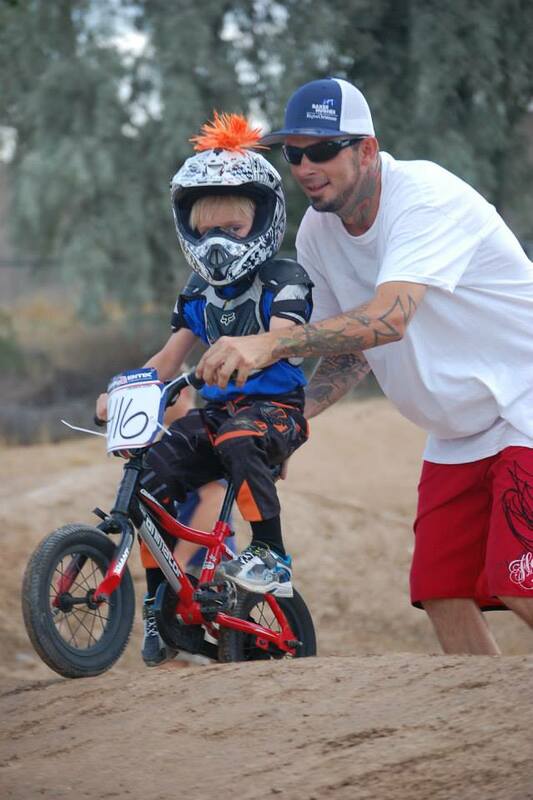 USA BMX requires ALL sanctioned-event participants to have an active membership. The USA BMX Balance Bike Membership is available at the Registration Trailer for $30 for 12 months. Riders may upgrade to the full USA BMX membership at any time during the 12 months for a $35 charge. (Full membership = $60) A ONE-DAY membership may be used ONE TIME for a rider to “test” his/her interest in the sport, after which the Balance Bike membership must be purchased to continue participating.